Café Casino Review - 2018 Update - Huge Bonuses, But is it a Safe Bet? On first glance you could be forgiven for thinking you’d alighted upon the website of a humble coffee shop seeking to alert you to its soup of the day and panini of the month. But no, don’t let that cutesy logo confuse you: Cafe Casino has nothing to do with coffee and everything to do with betting – the ace engraved onto the side of the coffee cup gives evidence of that. With the prospect of a 500% deposit match worth up to €/$5,000 and a host of roulette games to try, Cafe Casino has a lot going for it. Throw in some excellent slots, a friendly vibe and there’s a real sense that this is more than just another casino-by-numbers. What’s more, because US players are able to sign up at Cafe Casino (regardless of what the law says on the matter), there are multiple reasons why the site warrants closer inspection. At Café Casino, there is enough variety of games available to play to please even the choosiest customer. The casino gets top marks for being reliable, safe and secure. On the other hand, there is a severe lack of Roulette games, promotions and bonuses, and not enough different payment methods on offer which together bring down the casino’s overall score. For a great welcome bonus and plenty of action to get in on, Café Casino gets our approval as a first-class casino. Onto the bonuses then, starting with the high limit welcome bonus of 500%. Whatever way you look at it, this is an excellent and extremely enticing offer, one that’s worth up to €/$5,000. Deposit €/$1,000 in other words and Cafe Casino will quintuple it. The only limitations are that it’s subject to a 35x playthrough and you can cash out a maximum of 10x the bonus. That’s just one of the bonuses that’s up for grabs; on your second deposit you can claim a 100% bonus worth up to €/$1,000 with no maximum cashout limit. There are a couple of other perks of becoming a member of Cafe Casino. There’s the $10 chip that all new players are entitled to simply for creating an account. It’s subject to a 60x playthrough requirement and the maximum you can withdraw with it is €/$125. The other way to cream a little off the top at Cafe Casino is by referring a friend. For every mate who signs up and makes their first deposit, you’ll receive €/$100. One of the best things about Cafe Casino – although the site is hardly short of impressive features if truth be told – is the detailed descriptions that accompany each game. Before you’ve clicked through to play, you’ll have already learned the game’s primary features, betting increments and suchlike. The roulette options available at the site include American Roulette and all of the casino games are optimised for tablet and mobile. A neat feature with roulette is the double up button which allows players to double their bets when they hit a hot streak. Other roulette games to be found at Cafe Casino include Classic American Roulette, Classic European Roulette and European Roulette. There’s naturally a selection of other table games too including Craps, Let ‘Em Ride, Red Dog and Tri Card Poker. You might have come to Cafe Casino for the roulette primarily, but there’s nothing to say you can’t put the other games through their paces while you’re at it. Indeed, it would seem a shame not to, given the quality and diversity of the titles on offer. Take the slots for example, where retro fruit games rub shoulders with spy thrillers, Egyptian adventures, sports simulators and fantasy games. From Gnome Sweet Home to Leonardo’s Slot, there’s so many games to explore here including progressive jackpot options such as Major Moolah. The specialty games at Cafe Casino are worth a look too. It’s here you’ll find bingo, including 80-ball and 30-ball versions, sudoku and the likes of Penguin Payday and Tiki Treasure. Cafe Casino is fond of its blackjack too, devoting an entire category to it replete with Single Deck, Zappit and European Blackjack plus Perfect Pairs. The video poker section is larger still and includes Deuces Wild, Bonus Poker 1 Hand and dozens of similar variants. Café Casino has a variety of games in its portfolio, including Roulette, Blackjack, other table games, video slots, Bingo, and Scratch Cards. The casino’s selection of Roulette is pretty limited, though, as only a couple of American, and European editions are available to play. On the plus side, the casino has an extensive set of video slots and slots with progressive jackpots. On the other hand, there is no live casino and no sportsbook either. Café Casino is powered by Realtime Gaming (RTG) and also features a range of games from Betsoft and Rival Gaming. RTG have been around for years and therefore have an impressive gaming library. Betsoft specialises in 3D cinematographic presentation and Rival Gaming who like, RTG, also has a large selection of games, the majority of which are slots. In addition, the company provides their operators with speciality games. They also produced a range of famous iSlots. Before you can cash out at Cafe Casino, first you’ll need to cash in using your preferred deposit method. This essentially comes down to two choices: Bitcoin or credit card. Whatever method you use, there’s a minimum deposit of €/$20, but the maximum for Visa and MasterCard is capped at $1,000. For Bitcoin, on the other hand, it’s €/$5,000. Due to the design of Cafe Casino, with the US market its prime target, Bitcoin is probably the best means of funding your account, although some US card companies will process your transaction at online casinos. The only way to find out for sure is by giving it a go. When cashing out, you can naturally use the same option as your deposit method. Bitcoin will only take around 15 minutes to clear, whereas credit card will take 4-7 business days. This is over and above the 72-hour wait that all withdrawal requests are subject to. There are a couple of other withdrawal methods at your disposal incidentally, namely check by courier and bank wire. Café Casino prides itself on fast and free payouts using the American Dollar. Unfortunately, other currencies are not accepted. 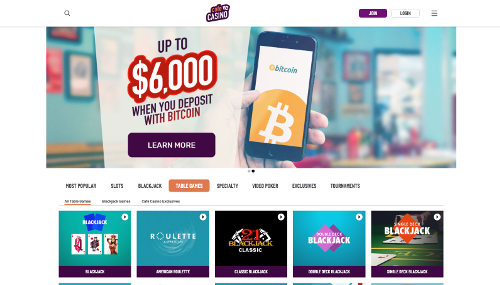 The casino utilises the digital currency, Bitcoin, as one of their payment methods to ensure that Roulette players receive their funds within 24 hours. Players may also make deposits using American Express, Visa and Mastercard debit/credit cards. Café Casino is dedicated to providing over 200 of the best online slots, Video Poker, speciality and table games the internet has to offer from a mobile platform. The casino is fully compatible with most smartphones and tablets. All the games function impeccably on iPhone, iPad, Windows Phone, Blackberry, and Android devices. The mobile version of the casino is based on HTML5 which ensures Roulette players will receive a rich multimedia gaming experience. There is no app required to download; therefore, the casino can be accessed through the device’s browser. Café Casino features a Recent Winners page wherein you can find plenty of players who were fortunate to make bank on several of the casino’s games. The site is not very organised as the progressive jackpot slots are mixed in with the standard video slots. 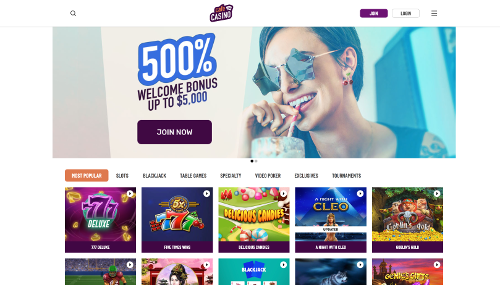 Some jackpot slots and their prizes include the new game, A Night with Cleo with a $46K pot, Ares: The Battle of Troy with its $2K prize, and Aztec’s Treasure with its $3K jackpot. At Café Casino, website security is a priority as all sensitive areas of the site are protected by SSL (Secure Socket Layer). The Kahnawake Gaming Commission fully licenses the casino, and its software is fully certified by iTechLabs, the industry’s leading authority in regulation and certification. Café Casino currently accepts players from the United States, except those residing in Maryland, New York State and New Jersey. Afghanistan, Aland Islands, Albania, Algeria, American Samoa, Andorra, Angola, Anguilla, Antarctica, Antigua and Barbuda, Argentina, Armenia, Aruba, Australia, Austria, Azerbaijan, Bahamas the, Bahrain, Bangladesh, Barbados, Belarus, Belgium, Belize, Benin, Bermuda, Bhutan, Bolivia, BQ, Bosnia and Herzegovina, Botswana, Bouvet Island (Bouvetoya), Brazil, British Indian Ocean Territory (Chagos Archipelago), Brunei Darussalam, Bulgaria, Burkina Faso, Burundi, Cape Verde, Cambodia, Cameroon, Canada, Cayman Islands, Central African Republic, Chad, Chile, China, Christmas Island, Cocos (Keeling) Islands, Colombia, Comoros the, Congo the, Congo, Cook Islands, Costa Rica, Cote d'Ivoire, Croatia, Cuba, CW, Cyprus, Czech Republic, Denmark, Djibouti, Dominica, Dominican Republic, Ecuador, Egypt, El Salvador, Equatorial Guinea, Eritrea, Estonia, Ethiopia, Falkland Islands (Malvinas), Faroe Islands, Fiji the Fiji Islands, Finland, France, French Republic, French Guiana, French Polynesia, French Southern Territories, Gabon, Gambia the, Georgia, Germany, Ghana, Gibraltar, Greece, Greenland, Grenada, Guadeloupe, Guam, Guatemala, Guernsey, Guinea, Guinea-Bissau, Guyana, Haiti, Heard Island and McDonald Islands, Holy See (Vatican City State), Honduras, Hong Kong, Hungary, Iceland, India, Indonesia, Iran, Iraq, Ireland, Isle of Man, Israel, Italy, Jamaica, Japan, Jersey, Jordan, Kazakhstan, Kenya, Kiribati, Korea, Korea, Kuwait, Kyrgyz Republic, Lao, Latvia, Lebanon, Lesotho, Liberia, Libyan Arab Jamahiriya, Liechtenstein, Lithuania, Luxembourg, Macao, Macedonia, Madagascar, Malawi, Malaysia, Maldives, Mali, Malta, Marshall Islands, Martinique, Mauritania, Mauritius, Mayotte, Mexico, Micronesia, Moldova, Monaco, Mongolia, Montenegro, Montserrat, Morocco, Mozambique, Myanmar, Namibia, Nauru, Nepal, Netherlands the, New Caledonia, New Zealand, Nicaragua, Niger, Nigeria, Niue, Norfolk Island, Northern Mariana Islands, Norway, Oman, Pakistan, Palau, Palestinian Territory, Panama, Papua New Guinea, Paraguay, Peru, Philippines, Pitcairn Islands, Poland, Portugal, Portuguese Republic, Puerto Rico, Qatar, Reunion, Romania, Russian Federation, Rwanda, Saint Barthelemy, Saint Helena, Saint Kitts and Nevis, Saint Lucia, Saint Martin, Saint Pierre and Miquelon, Saint Vincent and the Grenadines, Samoa, San Marino, Sao Tome and Principe, Saudi Arabia, Senegal, Serbia, Seychelles, Sierra Leone, Singapore, SX, Slovakia (Slovak Republic), Slovenia, Solomon Islands, Somalia, Somali Republic, South Africa, South Georgia and the South Sandwich Islands, SS, Spain, Sri Lanka, Sudan, Suriname, Svalbard & Jan Mayen Islands, Swaziland, Sweden, Switzerland, Swiss Confederation, Syrian Arab Republic, Taiwan, Tajikistan, Tanzania, Thailand, Timor-Leste, Togo, Tokelau, Tonga, Trinidad and Tobago, Tunisia, Turkey, Turkmenistan, Turks and Caicos Islands, Tuvalu, Uganda, Ukraine, United Arab Emirates, United Kingdom, United States Minor Outlying Islands, Uruguay, Eastern Republic of, Uzbekistan, Vanuatu, Venezuela, Vietnam, British Virgin Islands, United States Virgin Islands, Wallis and Futuna, Western Sahara, Yemen, Zambia, Zimbabwe. Cafe Casino is a great Bitcoin-friendly site, whether you’re there for the roulette, the slots or the blackjack. The site’s distinctive design and mobile-friendliness are definite bonuses, but the biggest bonus of all is of course the one you receive for signing up. It’s hard to argue with a 500% first deposit bonus followed by a second deposit bonus of 100%. What’s more, there’s more to Cafe Casino than merely overstuffed pillows of bonus cash. 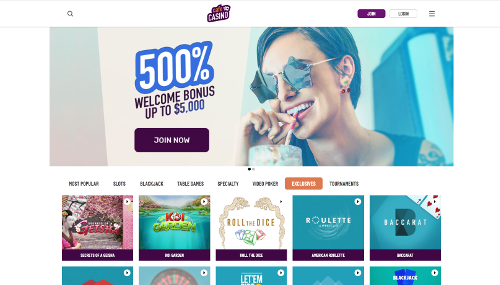 The site’s range of games, the helpful explanations accompanying each one and the $100 referral scheme are just a few of the reasons why Cafe Casino scores highly. There’s no live casino admittedly, and just 4 roulette games to play, but what’s there is very good indeed. Sign up, send some Bitcoins over and grab yourself some of that bonus cash to play with.